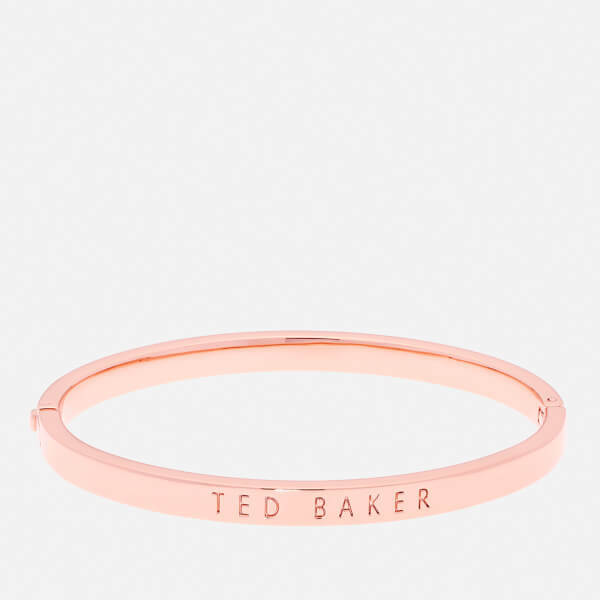 Women's rose gold-plated bangle from Ted Baker's accessories collection. 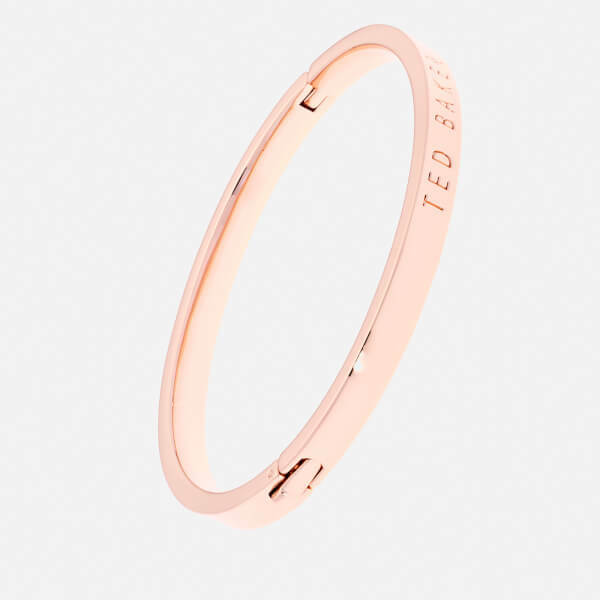 Showcasing an elegant, minimalistic design, the 'Clemina' metallic bracelet features delicate engraved branding and is secured with a hinged clasp fastening. Presented in branded pouch and gift box.